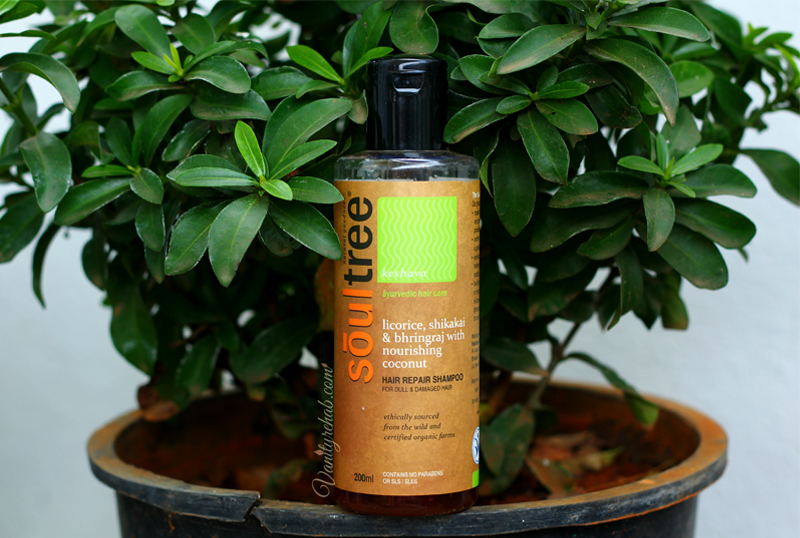 Vanity Rehab: Soultree - Licorice Hair repair Shampoo Review. Soultree - Licorice Hair repair Shampoo Review. Hello dears :) How about some nourishing shampoo before the "Hibiscus and Henna hair conditioner" from Soultree? 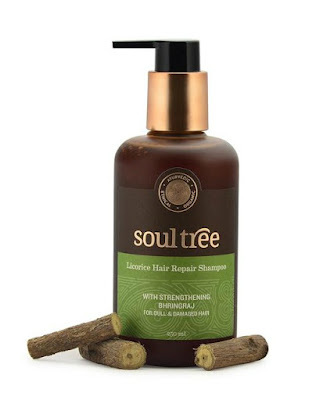 Here it is: The Soultree - "Licorice Hair repair Shampoo". Soultree is a BDIH certified natural cosmetic brand. They started this brand as a result of the journey that began in 2002. A journey deep into the Himalayas where they discovered communities still living in communion with nature using its goodness and giving back to it in equal measure. This harmonious give and take had an honesty they never quite found in the cities. So, they decided to create truly natural products that resonated responsibility and values. Read more of this in detail in the "About us" section on their website. Fragrance: Mild shikakai floral. Very pleasant and non-overpowering. When i used for the first time, i wasn't really pleased with how my hair felt. It was weighed down, dull and unclean. But, from the second time, when i left it longer on hair before washing, i got to see real big difference. They felt super soft, nourished, healthy and had a natural bounce to them. If you have oily/Normal hair, you do not really need any conditioner with this! Even my sister who has super dry lifeless brittle curly hair started to see the difference after using this shampoo along with their Hibiscus conditioner. Her hair became more manageable, nourished and soft. Nourishes, Repairs and brings back Life to damaged hair. People with Oily/Normal hair need not use any conditioner. Does not leave any residue behind. When diluted, foams really good. Offline at: 'The Green path Organic state' store, malleswaram, Bangalore and at most organic/natural product stores in India. Yes. Anytime. 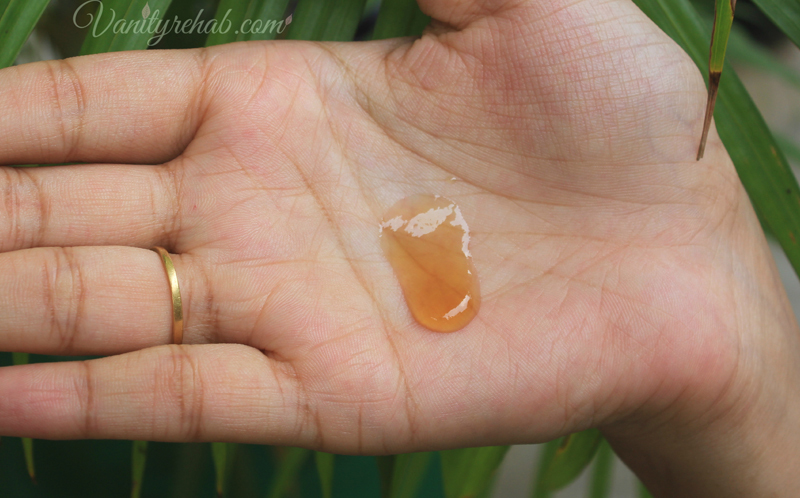 Because, this is the one among the very few really good natural shampoos in India and also it is sanely priced for all the real benefits it provides.